For the sixth year, Goodreads is hosting his Choice awards. The semifinal rounds nominees are up and here's the list for the 2014 Fantasy category (you can vote here). This list makes me realize the number of interesting books I still haven't read this year. 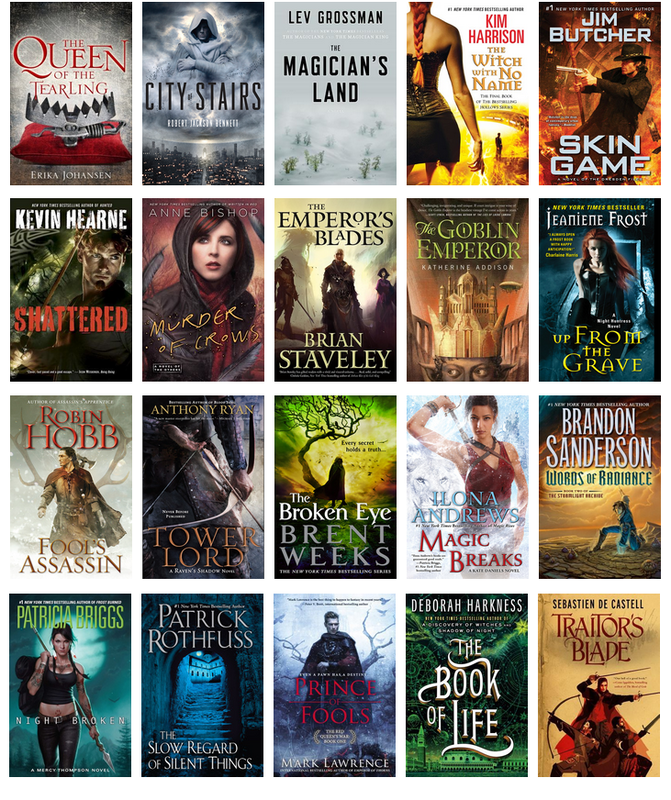 From the ones I have read making the list, so far, my vote is for The Broken Eye by Brent Weeks but it can still change with books like Prince of Fools on my to-read pile. I think that Robin Hobb or Brandon Sanderson are likely winners. What do you think? It makes me sad that there are so many books on here that I haven't read because there's a good handful that I have and meant to read but just didn't get around to it. maybe this is time time of year to start doing my catch-up reading, so I don't enter 2015 with a bunch of reading regrets.